CARFAX 1-Owner, Honda Certified, Excellent Condition. Sport SE trim. PRICED TO MOVE $1,500 below Kelley Blue Book! Heated Leather Seats, Bluetooth, iPod/MP3 Input, Alloy Wheels, Back-Up Camera. SEE MORE! 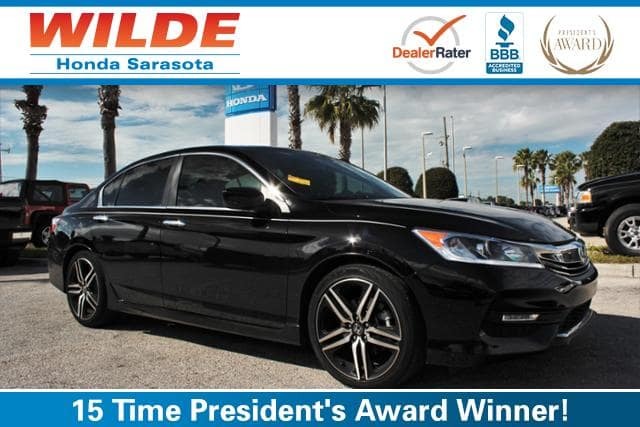 This Accord is priced $1,500 below Kelley Blue Book. Leather Seats, Heated Driver Seat, Back-Up Camera, iPod/MP3 Input, Bluetooth. Rear Spoiler, MP3 Player, Remote Trunk Release, Keyless Entry, Steering Wheel Controls. Honda Sport SE with Crystal Black Pearl exterior and Black interior features a 4 Cylinder Engine with 189 HP at 6400 RPM*. newCarTestDrive.com explains The Accord delivers an excellent ride and nicely balanced handling. Road manners rank as stellar. 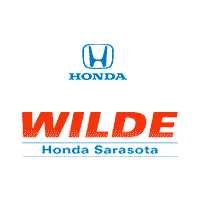 Unlike some electric power steering systems, Honda’s inspires confidence, offering good centering and largely linear weighting..
Pricing analysis performed on 1/3/2018. Horsepower calculations based on trim engine configuration. Please confirm the accuracy of the included equipment by calling us prior to purchase.